Mother's Day is just days away and being said that I decided to create a helpful video for people who need a little push when it comes to gifts. 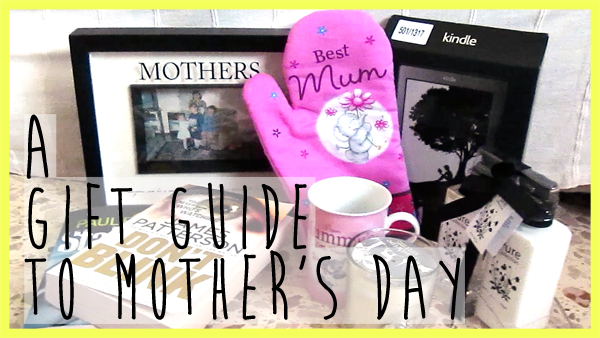 With Mother's Day just days away, I came up with a Gift Guide to help you.Give the Video a THUMBS UP if you found this Video Helpful and be sure to SUBSCRIBE if you want to see more helpful videos! Subscribe and Click that Like Button if you enjoyed the video ! WHAT DID YOU GET YOUR MUM FOR MOTHERS DAY ?